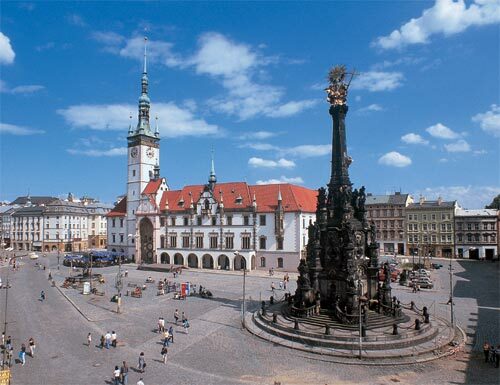 I was very pleased to see This lovely city of Olomouc. What a beautiful place it is! Unfortunately, it is virtually unknown to the western world. In October how do I book a day time train from olomouc to Krakow? Moving to Olomounc in february 2013 with my family, staying for 3-4 months We are looking for apartment or house to rent. Must be 2 bedrooms and it has to be with furniture. Any idea how to find places? The best way to get to Olomouc from Krakow is (in my oppinion) by train. Easy and not expensive. But it takes about 4 hours in train. Good luck! Wonderful web site. I found the City to be very nice place. I have spent 9 weeks this year. Every time I return I find another place to visit. The Church on Sacred Hill was being restored. I hope to see it this coming February. Hey! Could you tell me how to get to Olomouc from Krakow? How much and how long will it take? Just trying to travel off the tourist trail!